Led by Rev. 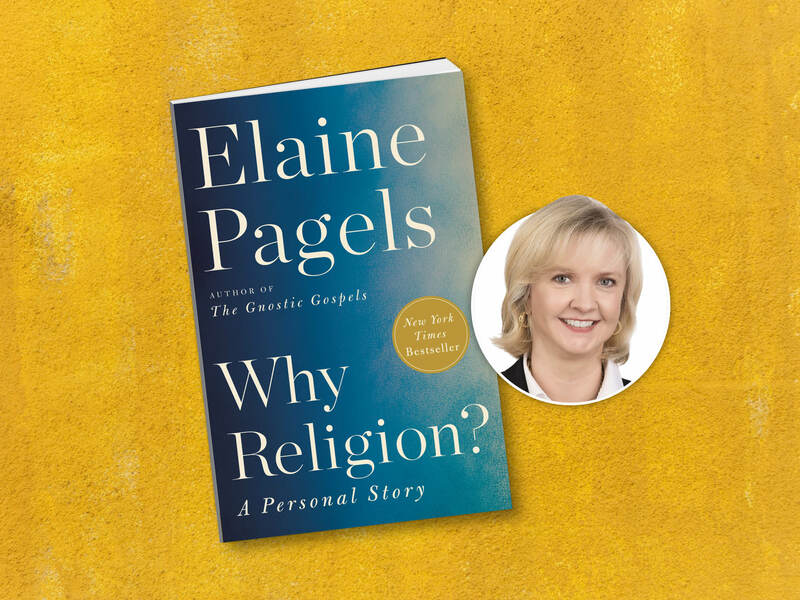 Linda McDermott, this class will discuss Dr. Elaine Pagels’ bestseller, “Why Religion: A Personal Story.” Please read before coming to class and bring your book with you. In this book, Pagels looks to her own life to help address some of life’s deepest questions as they took on a new urgency when dealing with unimaginable loss — the death of her young son, followed a year later by the shocking loss of her husband. Here Pagels interweaves a personal story with the work that she loves, illuminating how, for better and worse, religious traditions have shaped how we understand ourselves; how we relate to one another; and, most importantly, how to get through the most difficult challenges we face. Elaine Pagels is a preeminent academic whose impressive scholarship has earned her international respect. Professor of Religion at Princeton University, Pagels was awarded the Rockefeller, Guggenheim, and MacArthur Fellowships in three consecutive years.